At the Backup step of the wizard, select a backup from which you want to recover data. To quickly find the necessary backup, use the search field at the bottom of the window: enter a backup name or a part of it in the search field and click the Start search button on the right or press [ENTER]. 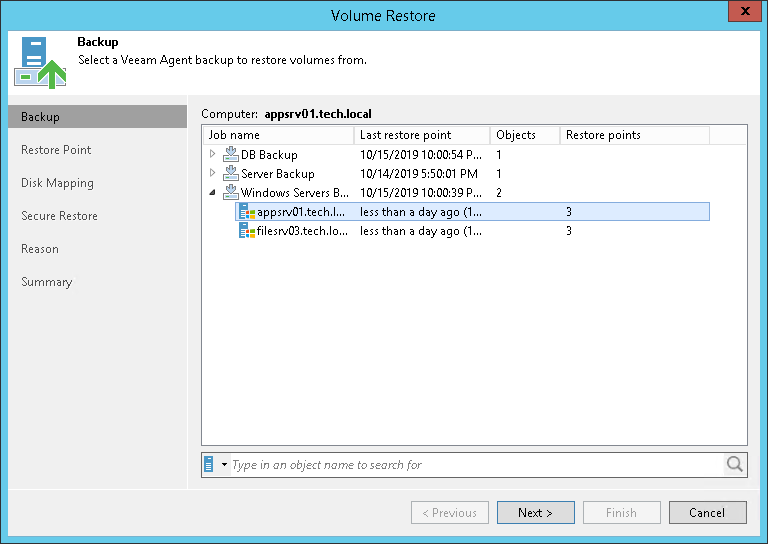 In the list of backups, Veeam Backup & Replication displays only volume-level backups created with Veeam Agent for Microsoft Windows. File-level backups and backup created with Veeam Agent for Linux are not displayed.